School venue with use of hall during evening. Parking on hard standing. Own sanitation is advisable. No hook ups available. Disabled access to hall. Dogs must be on a lead and exercised off site. The site is close to town centre with its shops and pubs. 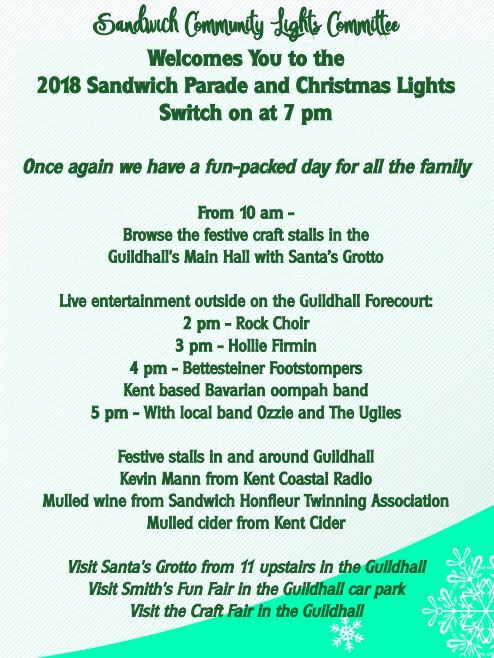 This weekend has been arranged to coincide with the Sandwich Christmas Lights switch on and Parade. After the parade it's back to the school for soup, sausage rolls, mince pies and mulled wine. Map shows approximate location based on postcode. Sandwich is on the A256 road between Ramsgate and Dover or from A257 from Canterbury. Site best approached from the south on A258/Deal Road. After ¾ mile turn left onto St Barts Road (just before level crossing). School on left after 350 yds.